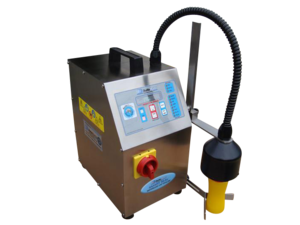 AutoMate AM-75 semi automatic induction sealer is the right choice for research and development and small volume runs. Producing 750 Watts of power the unit produces a strong field in a very compact package. The AM-75 can accomidate caps from 5mm up to 100mm in diameter.